Over 70 years of rich heritage. Dancers 13 years of age and older will have to visit the will-call window at gate 2 to receive their entry ticket. Tickets will no longer be mailed to you. Dancers 12 years of age and under will still be admitted free at the gates. Competitors will receive an email confirmation per entry. Competitors 13 & over must pick up complimentary admission ticket at will-call window at gate 2. 12 & under admission is free. Dancing will conform to SOBHD rules. The decisions of the Adjudicators are final. 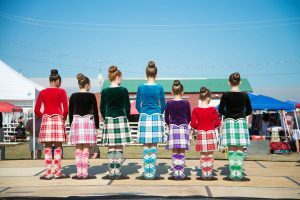 Competitors must present their 2019 FUSTA or ScotDance card at registration in order to take home awards. Shipment of awards, held due to not presenting registration card, will be at the expense of the dancer’s Family. Dancing order will be last to enter, first to compete. For insufficient entries in a stated championship age group the organizer has the option to amalgamate age groups to meet the minimum numbers required for a championship after entry due date. 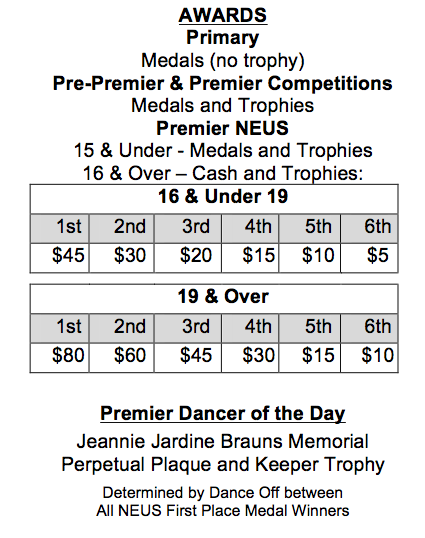 Pre-Premier and Premier Competition age groups to be determined by entries. Solo Choreography – Not to exceed 2 minutes. (music: iPod or CD to be given at registration). Entries after registration deadline should contact Shana Weir at sweir@scotgames.com. A $10 late fee is charged for any and all late entries. 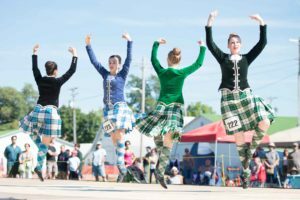 The Capital District Scottish Games (Ceremony & Games) from Call of the Loon Productions on Vimeo. Veterans and Active Military: You will save 50% on your Gate Admissions on both Saturday and Sunday. Just show your ID Card at the Gate. These discounts are available only at the gate on the day of admission and only to the veteran or active service member. Saturday: $22 at the gate. | Sunday: $12 at the gate.